The Dropbox WordPress Plugin – Dropr lets you access files from your Dropbox account and help you to add them straight to your WordPress website. Securely and safely. 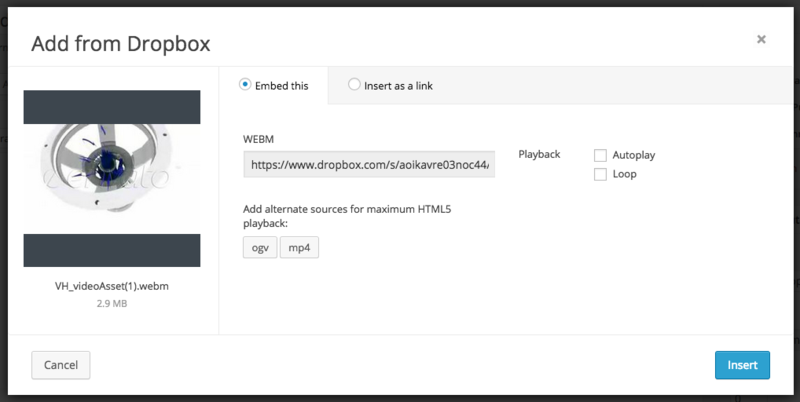 Dropr essentially turns your Dropbox account into a secondary WordPress Media Library. 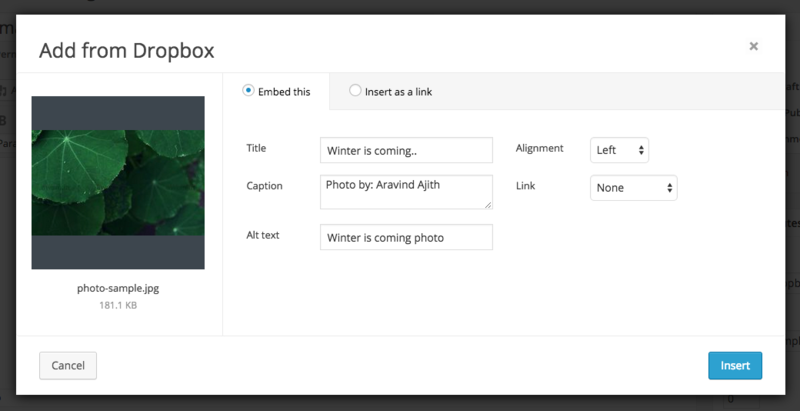 You can access your Dropbox files from the WordPress text editor screen, then drop files into your content as you please ? without ever having to upload them to WordPress. 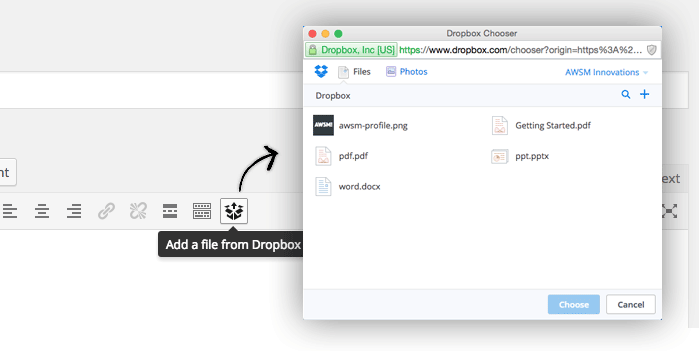 This makes it a great way to save bandwidth, plus Dropbox offers better file management than WordPress. -  Added: Gutenberg Support. Dropr Block is added. -  Added: Media Button support in Classic Editor. -  Added: Settings link in the plugin page. -  Fixed: Audio and Video shortcode override issue.